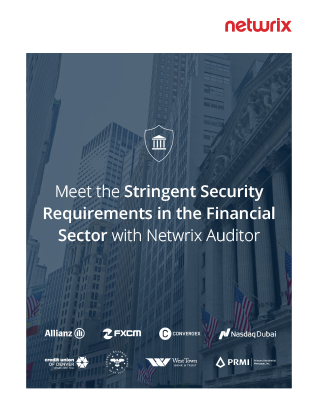 The two biggest challenges faced by financial institutions around the world are security and compliance. You have to safeguard your customers’ financial records and PII against a wide range of threats, and you must also demonstrate your ongoing compliance with a multitude of complex industry regulations. The right tool can help you succeed on both fronts. How can you minimize the risk of account misuse, identity theft and privilege escalation? How can you quickly spot automated attacks and fraudulent activity by insiders or external agents? How can you prepare for regulatory audits with less effort and expense? How can you establish user accountability, avoid business disruptions and troubleshoot issues faster?